We have a lovely little space conveniently positioned in the front window of our office that we have affectionately named our 'Makers Corner'. The intention behind this space is to showcase local products by local like-minded creatives. Our Makers Corner is a 'no strings attached', 'no commission taken' kinda set up. We're just grateful to have beautiful things fill this little corner. If you're a local Maker and would like to get involved then don't be shy: either email us on hello@altereco.net.au or drop in and say g'day. Design and furniture are Luke from Old2New Design's passion. Luke describes himself as an avid recycler and forager. As his enthusiasm for salvaging the unwanted grew, he noted how the building industry was becoming dull and generic. Houses and furniture were mostly built without love and originality. Time and cost-cutting had replaced soul and beauty. Luke's journey into furniture making began the day his hot water system died. As he examined the broken-down cylinder, the seemingly ordinary suddenly opened up so many extraordinary ideas and design possibilities. This was Luke's eureka moment - unusual shapes and forms fused with a love for recycling and the crafting of furniture. It is Luke's hope that each unique piece showcases remarkable objects and timber lovingly reworked and given new life. 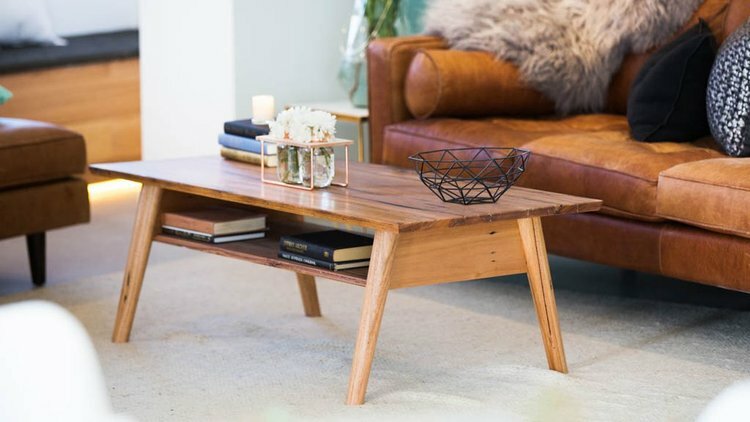 The No Goat For Jack team works out of Yarraville and Brooklyn and makes a beautiful range of coffee tables, dining tables, sideboards, entertainment units and more from plantation plywood, one of the more sustainable timber choices around. With backgrounds in Mechanical Engineering, Product Design and Architecture No Goat For Jack are always searching to make our lives a little more delightful, satisfying and considered through design and products which bring us joy. Hello Colour is a colour design studio based in Melbourne, Australia. They create clever colour concepts for interior and exterior spaces. They collaborate with renovators, builders and businesses to navigate the wonderful world of colour. Hello Colour take the time to get you know you and the unique aspects of your space and project. Together, they create the perfect palette of finishes for your space, from bold brights, to nifty neutrals and beyond. Hello Colour create inspiring interiors you will love and love living in. They create exciting, eye-catching exteriors which communicate your personality and compliment the style of your home or business. West Wood are makers of quality furniture and joinery. Dan and the team strive for perfection with every piece they produce. Believing that good design combined with good quality materials and craftsmanship will create a long lasting timeless addition to any home or workplace. Their mission is to bring great ideas to life and do it well. Founded in late 2014, Simple From opened its doors as a little online store with the concept of monochrome and minimalism at its core. Now headquartered in a small studio space in Seddon, they are a contemporary furniture, art and accessories store procuring the Scandinavian, Nordic, Minimalist and Japanese design aesthetics from all over the globe. They take great pride in curating a collection of unique and functional objects that have inherent beauty, craftsmanship and timelessness to make your home and life inspiring. Your 'everyday' is the catalyst for our curation, including for the little ones, and we seek to make your interior and life styling journey less complicated by being a destination to shop a simple and carefully considered aesthetic that you can recognise as your own. From their point of view, less is definitely more. Whilst Simple Form align themselves with iconic international brands such as Hay, Muuto, Normann Copenhagen and Menu, they also love collaborating with a line up of local emerging creatives to bring to you a range that is undoubtedly unique, quirky and constantly evolving. LDD makes graphic sculptural lighting pieces, inspired by street art and industrial environments. The new ink series is an exploratory sculptural lighting design made from a sequence of linear gestures which create unique and surprising lighting solutions. Inspired by urban environments and drawing particular reference to graffiti and calligraphic styling - the quill series is an investigation of these forms into a three dimensional expression, using timber and light as the medium. suitable for a variety of custom applications, from large wall or ceiling pieces to unique signage. Get in touch if you have a lighting idea you would like to bring to life. Curious Grace is a leading furniture and interiors retailer representing quality, 100% original design (no replica) intended to support the creative talent of designers throughout the world. They have a carefully selected collection of living, dining and bedroom furniture & home accessory pieces, coffee tables, side tables and much more including boutique lighting, floor and table lamps, cushions& floor rugs. Their staff are industry professionals with many years of interior styling, design and furniture experience. Tussock Studio is a Landscape Design Architecture and creative art studio. Similarly to Tara's painting, her landscape designs also draw inspiration from the details in the natural environment. She works across a number of scales but is mostly passionate about residential landscape design. She draws inspiration and is fascinated by so many different garden styles - Artdeco, Japanese, French and Australian native, but at the end of the day always strives to produce a design that suits the needs and wants to the client and the surrounding context. 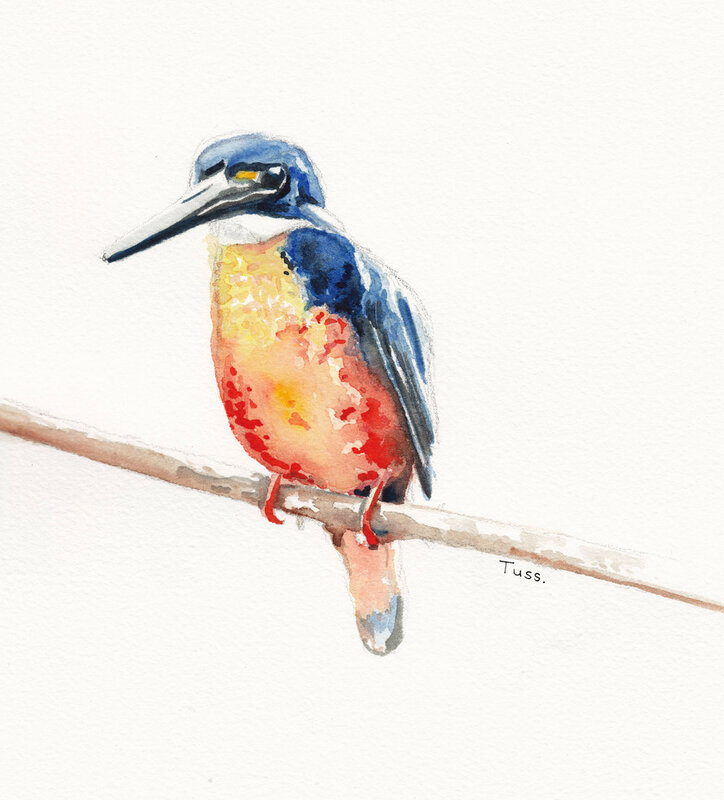 Tara's beautiful prints can be found on Society6. Creativity. Surprise. Emotion. Awe. Design. Furniture. This is what we dream at Design by Storm. An industrial designer by trade, Danielle Storm founded Design by Storm as a ground-breaking furniture design studio, devoted to upending the unnecessarily “sensible” world of furniture by weaving together experimental forms, functions and technological augmentation. Design by Storm makes everything right here in Melbourne: dreaming, designing, and building their pieces using a combination of the latest technology (CNC, laser cutting, 3D-printing...) and age-old craftsmanship (with their close knit community of friends, who just happen to be master craftspeople). Design by Storm thrive on challenging the impossible - each of their creations is the product of months of R&D, all to make sure there is always one more colour, one more angle, one more mystery for you to discover.